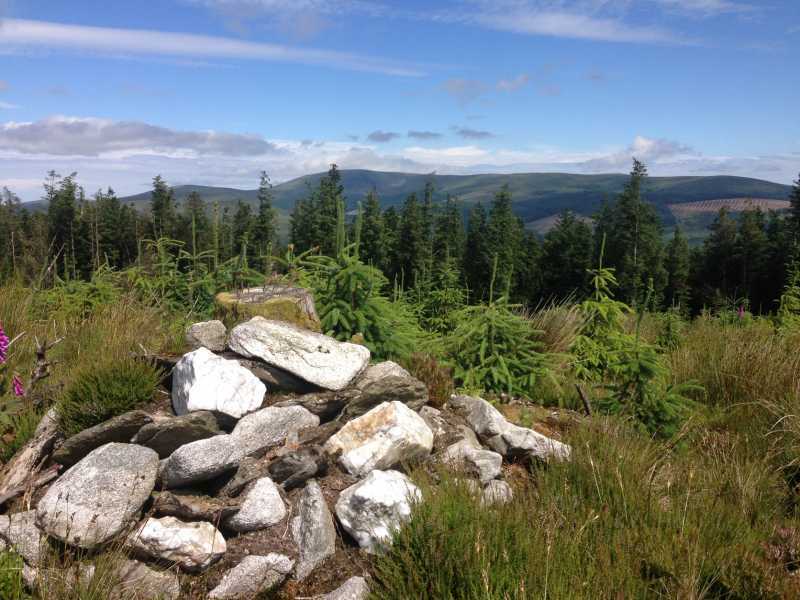 Picture from mickhanney : New forestry emerging, Great views. Picture: New forestry emerging, Great views. Took in a circuit of Ballycurragh hill incorporating the Mulhall family memorial overlooking Askanagap, before heading back to the Wicklow way and taking a direct line through the forestry to Ballyteige. The lower forestry has areas of the old mossy forest mentioned in the earlier notes. The summit has new forestry growing and in a no. of years it'll be difficult to reach the high point. The underfoot conditions, while dry today, were very messy as a result of the original works which deforested the area. Views were great from the summit.